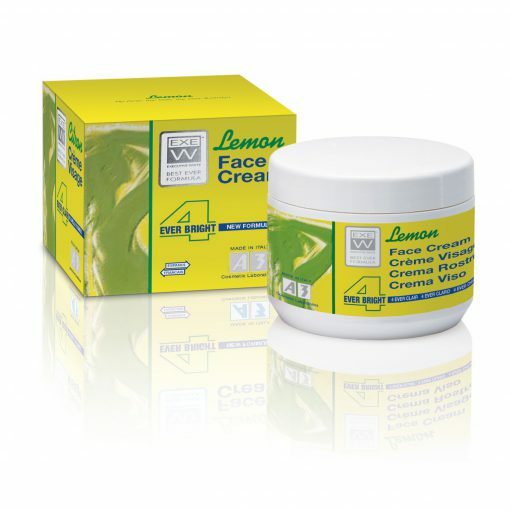 Lemon Face Cream is, with it’s rich texture, specifically designed for the dark skin to give a 4 Ever Bright Perfect Glow, by contrasting the formation and/or reappearance of skin blemishes (dark spots). This cream also provides deep moisture and smoothness without leaving an “oily layer” on the skin. The skin will immediately feel velvety and appear more luminous and healthy. The long lasting citrus fragrance adds a pleasant note of persisting freshness.